Many observers are seeing the ongoing Yemen civil war as a shrewd attempt by Iran to come close to Saudi Arabia’s borders through proxy. They also see the largely GCC-supported military ‘Operation Decisive Storm’ led by Saudi Arabia as an attempt to maintain the power status quo in the region and avoid an AQ & IS advance in Yemen to confront the Shiite-led movement Ansurallah (Houthi). There may be some truth to that analysis but it is not the whole truth. 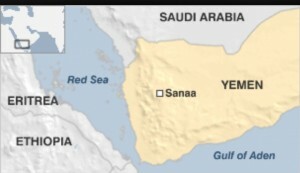 Yemen was ruled by an autocratic President Ali Abdullah Saleh for 33 years who had his own problems with the Houthis. When Ali Abdullah Saleh left power after the ripples of the now extinct Arab Spring reached the shores of Bab El Mandab, the country faced a power vacuum as is often the case with the collapse of authoritarian regimes. Political negotiations which followed Saleh’s departure to write a constitution acceptable to the major stakeholders remained inconclusive. The last straw was the collapse of the National Dialogue Conference initiated in 2013 to work out constitutional arrangements for a government of national unity. The Houthi movement takes its name from Hussein Badreddin al-Houthi, who launched an uprising in Yemen in 2004. Its present leader is Abdul-Malik al-Houthi. Last September the Houthis captured Sanaa and toppled the widely unpopular transitional government of President Abed Rabbo Mansour Hadi. The peace agreement that was signed for working out a formula for sharing power acceptable to all sides did not hold and fighting broke out in January 2015 resulting in the current civil war. In the domestic theatre of current fighting, one side is made up of the militias, mostly Sunnis and from the south of Yemen, who are supporting President Hadi who has fled to Saudi Arabia. 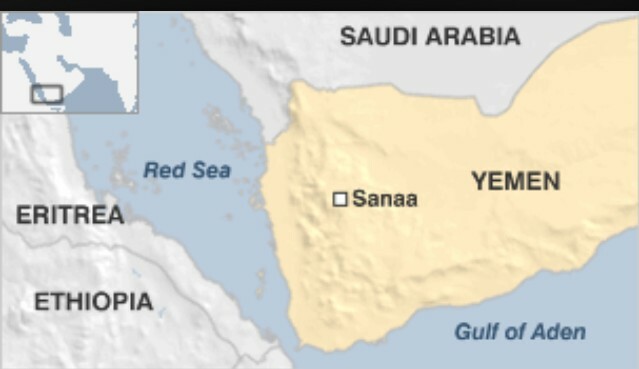 Fighting against them are most of the Zaydi tribes from the north of Yemen, including the Houthis who are in alliance with Ali Abdullah Saleh and his political party. The Houthi-Saleh coalition is an alliance of convenience. 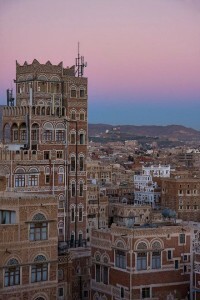 The Houthis have access to vast amounts of weapons, warplanes and firearms purchased during the time of Saleh’s rule. They are also assisted by former military advisers who oppose Hadi. In return, Saleh gets a formidable fighting force full of religious zeal and battlefield prowess from the Houthis to destroy the supporters of Hadi who is an enemy of both Saleh and the Houthis. It is believed that Saleh is not fighting to get back to power himself but he wants protection for his life and the wealth he has amassed during his long rule of Yemen. In addition to the direct confrontation between the Houthis and Hadi supporters, a secessionist movement is also fomenting in the South of Yemen where a socialist-oriented republic existed between 1967 and the late 1980s. Although no statements have been issued by separatists, the flag of the former People’s Democratic Republic of Yemen has been seen flying in some demonstrations prior to the start of the present conflict. In the regional theatre of the rising smoke of war, on the one side are Sunni-led GCC countries except Oman who are opposing the advance of the Houthis to take over Yemen by force through an unholy alliance with the supporters of the former ruler. On the other side stands Iran as it benefits indirectly from the advance of the Houthi rebels in the south of Yemen by means of expanding its influence in the Arab region and reaching out to the Shiite-Arab population in the Gulf countries, including Saudi Arabia. It is noteworthy that to date neither the Chairman of the OIC Summit (Egypt) nor Saudi Arabia which is leading the military strikes against Houthi rebels in Yemen has convened an emergency session of the OIC Foreign Ministers on the situation of Yemen. At the 12th OIC Summit in February 2013 the OIC leaders had mentioned Yemen in their Final Communique commending the achievements of the GCC countries to resolve the crisis in Yemen and achieve a peaceful transition to power. Instead, the situation in Yemen was discussed at the 22-member Arab Summit in Cairo last week (28 March 2015) which endorsed General Sisi’s suggestion to form a Joint Arab Defence Force to meet the challenges facing the Arab wold. As long as there is use of force, there is little hope that the GCC or UN brokered talks can bring any lasting settlement for the crisis in Yemen and keep it a united country under a democratic constitution and government of national unity.